This striking small bar necklace is a great way to show your support for University of South Alabama. 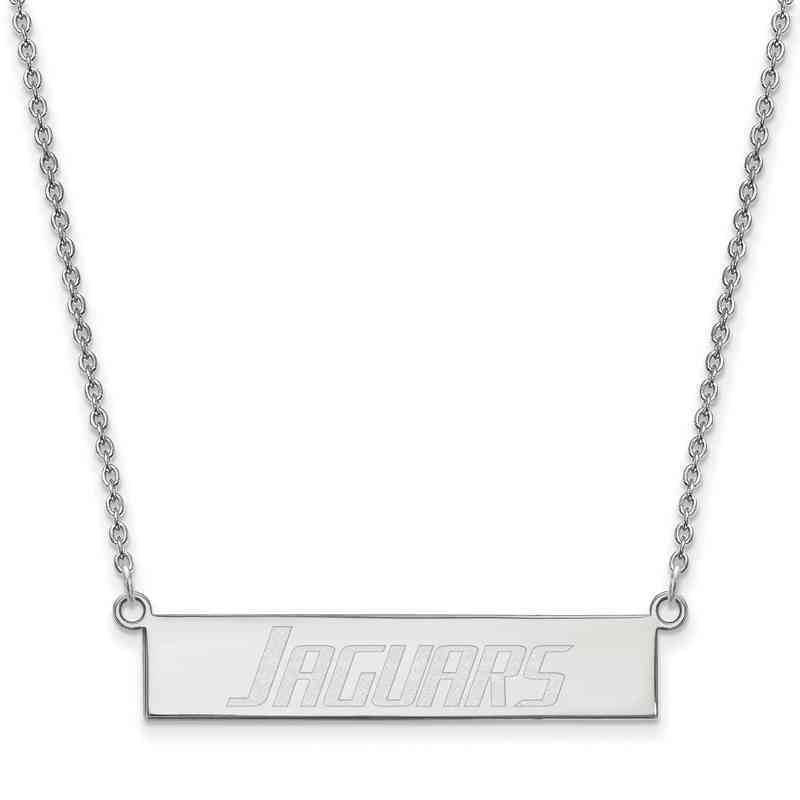 Styled in sterling silver from LogoArt, this necklace has polished finish for charming appeal. This necklace swings along 18-inch long cable chain that fastens with a lobster clasp. Manufacturer direct from a trusted supplier.